The Sugar Industry of Pakistan makes the second largest contribution to the Gross Domestic Product. There are 75 sugar mills in Pakistan with an installed capacity of 5.5 million tons per annum. 38 of the Sugar mills are in Punjab, 31 are located in Sindh, and 6 are situated in N.W.F.P. 57% of the country’s sugar is produced in Punjab, 40% in Sindh and the rest in NWFP. In Sindh a relatively small acreage is required because of the higher yield per hectare and a greater rate of recovery. The average recovery rate of Sindh was 9.97% as compared to 8.03% of Punjab. Pakistan ranks fifth amongst the world’s sugar producing countries. The sugar industry is totally agro-based industry. It employs 60,000 workers and contributes directly Rs. 16 Billion to the GDP. It has also contributed heavily to the foreign exchange earning by exporting sugar, molasses and alcohol. Total, foreign exchange earning in stood at approx. 4 Billion. World sugar production this year would be around 141.25 Million tones against the consumption of 136.24 Million tones. World sugar production is likely to go up by 2.15 % annually while productions subject to fluctuations created by floods, draughts and other factors. Higher sugar cane production can go a long way in helping a country like Pakistan. If we could raise the standard of production and recovery in comparison with only India, even then we could produce all the required yield with also sparing a lot of land for other crops. 0.3 Million hectares could be used for other crops and in the result we would not even be slowing down the production of sugar. The sugar industry has always remained static for a number for years, namely the last five years while there was a 100 percent increase in the yields of sugar. The federal and provincial ministries do not do any thing for the this ,the commission on agricultural prices has taken cognizance of the situation. Sugar cane production Declined 25 percent this year. This resulted in a sharp increase in sugar cane production and the mill owners are now in full competition with each other. There has been a rush for putting up more sugar mills as the high price of inflation has attracted a lot of people. He mill owners have even deliberately slowed down the purchase of sugarcane to increase the prices of sugar as this keeps them wealthy but this in return holds back the sugarcane producers from sowing the crops on time i.e. in February and thus the production for next year gets drops. Due to allow production of sugar in 1995-1996 and 1996-1997 and of course due to maneuvering of the profiteers, the sugar price has shot up to Rs. 24 per Kg in the retail market while the whole sale market price in the region was Rs. 21 per Kg. The shortage has pushed up the prices which did not decline despite the import of sugar in bulk at cheaper rate. Now the retail price of sugar in the local market is Rs. 18 per Kg as the exorbitant rates amounting to 22 to 22 prevailed in the market during the season of 1995-1996. There is general view that the increase in exports of sugar in market will lead to a increase in the commodity in the local market. The current retail price of sugar in the country is Rs. 18 per kgs still beyond the range of buying of the poor people and still much higher than the rates in India. The sugar price in India has recently been enhanced from Rs. 9.05 to Rs. 10.50 per Kg at retail stage. With the increase in ex-factory levy on sugar the Indian Government would spend around 2 Rupees on every Kg of sugar the public buys in the local distribution system. The sugar will be sold to customers at a rate of 10.50 rupees per Kg. This will add on the exchequer rupees 1.50 and the Government would take an extra burden of Rs. 6.25 Billion per annum due to recent price hike while the total sugar subsidy burden would be over Rs. 7.5 Billion. The demand for sugar is very stable as it constitutes one of the basic ingredient of our diet. The consumption of sugar has been stable at around 20 kg per Capita for the past few years. The present rate of growth with the installation of 15 new sugar mills in the country with a total capacity of 50,000 tones of cane crushing per day (TCD) would come into operation in 1998-1999. There would be a production surplus in 1999-2000. At least 8-10 Sugar mills are in advance of stage processing with various banks/DFIS. These sugar mills include Raja, Qand Ghar, Madina, Sheikhoo, Seri, Yusuf, Bachani etc. There will be a shortage of sugarcane for these mills. The mills have been approved without even considering the location. There are two by-products molasses and bagasse .There are no real factories for the use of these and they are all going to waste. The sale of the molasses is according to the international prices and is done by open biding in the market by the mill owners. The old and inefficient factories of the country cannot even use the full potential of the sugarcane as the molasses contains a lot of sugar in it. The result of this inefficiency is that most factories producing the alcohol are now closed and those working are doing so at very nominal rates. Bagasse is another important part of sugar which is used in making paper and fiber boards. How ever large quantities is burnt in boiler houses as feed stock by the mill owners. Looking at the availability of sugar there is sure to be a glut as there are many factories in the pipe line like it happened in 1995.It is how ever hoped that the sugar quantity will increase in the coming year and we will have to review our imports for the future. To fin out the requirements of the country by the end of the century and for the beginning of 2000 we should evaluate everything right now. The per capita requirements are 23.35 Kg. The target set by the NCA was 21 and we shall have to revise it. We are not in a position to Stabilize freeze the level at 23.35 Kg for the next five years especially with the present practice of liberal imports and high inventory of opening stocks. through some very effective planning we may be be able to restrict the production by 1.65 Kg and the target of 25 Kg per capita consumption of refined sugar by the year 2000. As suggested by the NCA “the consumption will need to be restrained by price and other demand management measures”. With 73 mills in the country, the sugar industry has a strong potential to become a major foreign exchange earning segment of the economy. Apart from the heavy consumption in the country the other major problem is that the sugarcane producers are using the canes to make “GUR” which affects the normal supplies to the factories foe sugar. The growers are making GUR due to heavy returns. They are getting Rs. 17 to Rs. 18 in the rural areas of Punjab and NWFP. According to informed sources , the GUR is also being smuggled in large quantities to Afghanistan and some Central Asian States as a large population in these states relish the taste of GUR, especially in tea and other kinds of prepared food. The sugar technology tells us that average cane yield can be increased surprisingly cane breeding station is established in Pakistan. 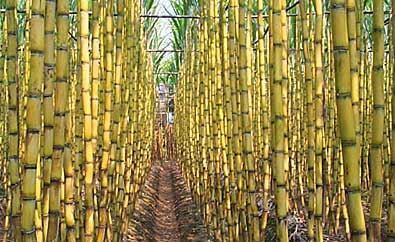 The cane average yield of Mauritius is almost double and average sugar yield per acre is still higher i.e. two and a half times than that of Pakistan. Many institutions are sponsored by the Government and this should be kept in mind while making a policy for sugar industry. Sugar cane has 4.07 per cent of the total crop area. Further increase in this area would be damaging for other crops like rice, wheat and cotton. There fore the only alternative available is to increase the yield per hectare of cane. The low rate of recovery of sucrose , 8.44 per cent in Punjab, 9.20 per cent in Sindh, 8.81 per cent in NWFP during 1994-1995. There is a need for improvement of cane production. There is a need to establish a sugar Technology Institute in Pakistan like other sugar producing countries. This will also eliminate the confusion between sugar and sugarcane technology. The technologies for each is different and should not be confused with the other. The sugar industry, which has joined the club of exportable items, may bring a relief to the country’s $9.5 billion export target, that is feared to face a sizable shortfall at the of the current financial year. A $600 million deficit has already been noticed at the end of the seventh month of 1997-98. The sugar sector, having a surplus around 700,000 tonnes, is expected to make a significant contribution in foreign exchange earnings which is roughly estimated at over $200 million to the total exports of the country this year. The current season after depressed output for two consecutive years, has brought a boom in the sugar industry with an increase in production, approximately by one million tonnes. The improved output was achieved mainly because of good sugarcane crop, increase in cultivation area and above all, the policy to allow exports which apparently proved a stimulating factor to the sugar producers. The size of the sugar crop next year is certainly to be improved at a much larger scale, provided everything goes well and the feudals do not spoil it by their usual politicizing. The sugar production may go up to the level of 5 million tonnes next year which means a surplus of 2 million tonnes would be available for exports. The sugar industry in Pakistan also expressed its inability to enter the export market because incompetitive prices and had asked for a subsidy to enable it to compete in the export market. Conceding to the demand, the government had decided to provide subsidy in the form of duty drawback at the rate of 10 per cent on export of sugar. As anticipated, if the industry earns $200 million against the export of entire surplus of 0.7 million tonnes of sugar the government will be paying Rs. 900 million under the head of duty drawback to the industry. The stagnant conditions in the manufacturing sector are usually attributed to unnecessary taxes, including withholding tax on exporters, exorbitant rates of octroi, charged on imported material. The contractors of octroi charge many times higher than specified in the schedule. The government now seems to have realised this issue and willing to accede to the demands of the export sector. An announcement to remove all unnecessary taxes for making the exports zero-rated practically is likely to be made in the coming budget. The cost of inputs including excessive taxation have made our industry in competitive in the export market. The federal taxes include excise duty both on sugar and on loans obtained by the industry which alone comes to the effect of Rs. 2100 per tonne. The total federal taxes are estimated at Rs. 2594 per tonne. The provincial taxes include road cess, market fee comes to a total of Rs. 473 per tonne while the local taxes include export tax, sugarcane ces, octroi rtc are amounted to Rs. 183 per tonne. These levies , coupled with the high rate of sugar cane price, demanded by the growers i.e. between Rs. 40 to 60 per mound as against the support price of Rs. 36 per a mound fixed by the Government have altogether enhanced the price of sugar in Pakistan. If we have to make sugar as a permanent export item, as even ground will have to be provided to the industry to compete in the in international market. Experts in the agricultural sector have expressed apprehensions that the acrage rise in the under sugar cane may seriously affect the soil condition through de-generation of land due to excessive use of water required for sugar cane crop. The agricultural scientists are of the view that once the sugar cane is harvested. The field is exhausted of nutrients to the detriment of any other crop planted there subsequently. For 40 tonnes of sugar cane removes 80 Kgs of nitrogen, 26 Kgs of phosphate and 18 Kgs of potassium from the soil. These require heavy dosage of chemical fertilizers and water, almost double in quantity than that required for wheat and cotton crops. The shifting of interest by the growers of sugarcane crop is feared to affect the cotton crop because the area devoted to cotton may e shared by sugarcane crop. Since countries 60 per cent economy is based on cotton, the country cannot afford any sort of set back to the cash crop. Noon Sugar Mills Limited is a subsidiary of the Noon group of industries. It’s head office is located in Lahore. 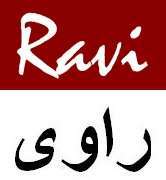 The Mills are located in Bhalwal district Sargodha. They have been functioning since 1987 and they are involved in the production of sugar as well as molasses and alcohol. There rating is A++. They have always showed good profits and dividends as well as earnings per share. There performance improved further in the last year with a pre-tax profit of Rs. 106.598 Million and an EPS of 15.57. The total amount of cane crushed was 383277 Million tonnes as compared to 483404 of previous year and the sugar produced was 32414 Million tonnes as compared to 42984 previous year. so this average recovery decreased from 8.88 to 8.48.
last year the industry faced a severe shortage of sugar cane. The company’s supplies were absorbed by it’s competitors and so the company had to use sugar from untried supplies from far flung areas. This is what resulted in the lower sucrose recovery ratio and also a very high average price of raw materials. The distillery operation was also affected by an unprecedented rise in the international as well as local price of molasses. this was not proportionately reflected in the international price of alcohol namely due to cheaper exports from India and Brazil. The company could there fore export only 1.459 Million liters as compared to 4.954 of last year. The company’s cost of sales for 1996 was Rs. 575335206. The share of the company in the national production of sugar is about 1.3 per cent. Crescent sugar mills and distillery is a subsidiary of the Crescent group of industries whose head office is in Lahore. It has been involved in producing sugar and it’s by-products for many years. How ever lately it’s performance has not been that good, in fact it showed losses for a couple of years. However it has been declaring dividend which is still better than some of the other companies in the industry. It’s cane production increased from 549196 to 549824 in 1995 and the production increased from 44785 tonnes to 45814 tonnes. This means that the recovery ratio increased from 8.16 to 8.33. It’s plant capacity of 44554 Tonnes was increased to 45828. The company had a long history of over utilizing it’s capacity in the past however it brought capacity utilization to 99.96 per cent in 1995. The company’s share in the national production of sugar is about 1.8 per cent. Pakistan: Doing Business and investing in Pakistan , Strategic Practical Information, Regulations and Contacts.